Hey all! Here's the December 15th Q & A! 1.) It seems that many of the Swiftwind figures are arriving with production errors involving the front legs. Some are correct, but a large portion seem to have either 2 right front legs or 2 left front legs (in case you aren't familiar with the problem yet, check out this thread at the He-Man.org forums- http://he-man.org/forums/boards/showthread.php?t=217547 ). Back when the King Hsss shoulders error was discovered, we were told that there would be no exchanges for correct product since no correct product existed. In the case of Swift Wind, correct versions are out there so at least some were manufactured correctly. My question is this- Will fans who received incorrectly assembled Swiftwinds be given the opportunity to exchange theirs for ones correctly assembled? And if so, is there any way that a team outside of standard Digital River customer service could be brought in to handle the problem (since DR seems ill-equipped to handle just about any customer service issue)? We are well aware of this issue and yes, fans can exchange and defective product through customer service. Overall it was a VERY small number of Swiftwinds that were affected by this production error. 2.) 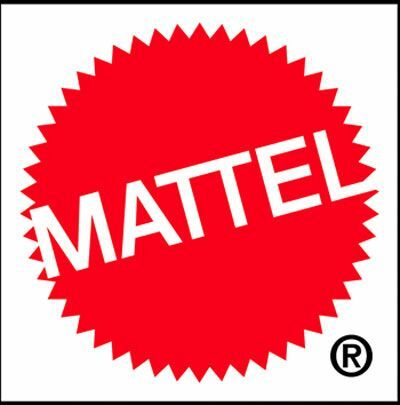 The "Mad Matty Monday" sale and the Black Friday/ Cyber Monday Sale saw a large portion of the MOTUC product available at discounted prices. It would seem that seeing so many items being sold at sometimes half the cost of their original retail would deter folks from "buying early". After all- Why pay full price for something that will be sold at 50% off months later? The leaves us to question the benefits of being a subscription holder, since it is fairly obvious that if you are patient, and can hold out a for a while, all of these figures will eventually be made available again for quite a substantial discount. Don't you feel that sales like these (while great for newcomers and folks that missed out on certain figures early on) are detrimental to subscription sales... which are supposedly at their lowest point yet? Starting in 2012, production will be much closer to the sub sales (with some limited stock still available for day-of non sub holders). While there may be some sales, we don't expect a sale as expansive as the 2011 BF sale again in 2012. 3.) Another question regarding the Cyber Monday sale- Why was the decision made to trickle items in and out of the sale instead of just having all the product available at a certain time? Many folks couldn't spend the entire day refreshing the Matty site just to see what product would pop up... And those of us that did were forced into separate orders if we wanted to grab certain items before they sold out. What was the benefit in handling the sale in this manner? It provided a little more chase for fans on Cyber Monday and added to the shopping experience. 4.) Is there any chance we could get a repaint of the 200X-style power sword in bronze in an upcoming Weapons Pak? It would be really cool to stick one with the bronze version of King Grayskull to make it more accurate to the "Powers of Grayskull" MYP episode. We certainly can look into this. Cool suggestion. 5.) Many questions (like more international shipping options or earlier shipping for subscribers) are usually met with the same answer… something to the effect of "we are looking into this" or "we are constantly exploring more options". My question is this- Can we start instituting some kind of timetable for improvements and corrections to longstanding issues? It's all well and good to hear that you are looking for ways to improve, but until it actually happens, that's just more words... and in some cases, we've heard those same words for going on 3 years now. We can't promise an exact time table as things are always in flux but as repetitive as the answer is, we are working on this actively and hope to have solutions as soon as possible. Been trying to exchange my Swift Wind since I got my figure! Keep getting the run around with Digital River! "We will put a priority on this matter and will get back with you with in 48 hours." Going on now the 4th week! I think it would be easier to read is the answers were in a different color. Wow, the answer to #3 was just RUDE! It did NOT add to the "shopping experience" in any positive way! And "the chase" is just a pathetic excuse for Matty's disregard for their fans. I'm done. I'm out.No wonder the sales numbers keep dropping, Matty just plain doesn't like us!